ANN ARBOR, Mich., – August 20, 2018 – Kraig Biocraft Laboratories, Inc. (OTCQB: KBLB) (“Company”), the leading developer of spider silk based fibers, announces today that it has delivered ballistic shootpack panels to the U.S. Army made from the Company’s proprietary Dragon Silk™ material. These panels will be evaluated for effectiveness in stopping bullets, in an effort to provide our Warfighters with a lighter and more comfortable alternative to conventional protective apparel. Dragon Silk is a genetically engineered spider silk which mimics the strength and toughness found in native spider silk, but which can be produced at large quantities through the Company’s specially developed silkworms. These specially engineered silkworms were developed to be a direct drop-in replacement into the traditional silk production infrastructure which produces more than 150,000 metric tons of silk per year. This approach of adapting the existing production infrastructure is the key differentiator between the Company and others working to produce spider silk materials. The Company continues to develop the next generation of high performance recombinant spider silk materials under the exercised contract option period authorized in 2017 and is currently in the process of opening a production facility in Vietnam to significantly expand its production capacity of Dragon Silk and its many other recombinant spider silk offerings. 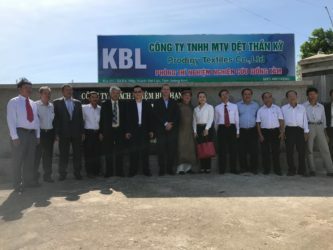 ANN ARBOR, Mich., – July 3, 2018 – Kraig Biocraft Laboratories, Inc. (OTCQB: KBLB) (“Company”), the leading developer of spider silk based fibers announces today that Jon Rice, the Company’s COO, is in Vietnam this week reviewing the new facility, interviewing potential hires, and meeting with local officials, as the next phase in launching operations at its newly formed production subsidiary, Prodigy Textiles Co. Ltd. 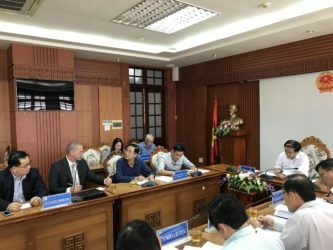 This trip marks the first time that Company management will be on the ground in Vietnam, since receiving its investment and enterprise registration certificates, the essential business licenses the Company had worked diligently to secure. 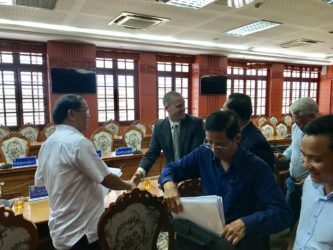 Mr. Rice will remain in Vietnam through the end of the week, ensuring that the factory is on track to receive its first delivery of its proprietary hybrid silkworms. This entry was posted on July 3, 2018 by Admin. 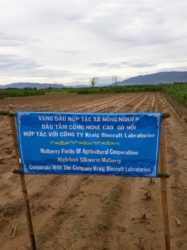 ANN ARBOR, Mich., – June 26, 2018 – Kraig Biocraft Laboratories, Inc. (OTCQB: KBLB) (“Company”), the leading developer of spider silk based fibers announces today that the Company’s representatives in Quang Nam province, Vietnam are working, in collaboration with a local cooperative, to expand mulberry production. This effort is a major element of the Company’s production expansion plans and marks a significant increase in capacity. 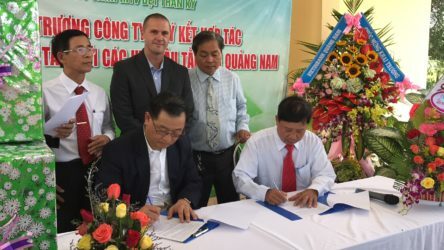 News of this collaboration was recently published in a leading Vietnamese digital media outlet, which highlights the efforts to focus on high technology agriculture and re-energize the Vietnamese share of the multi-billion dollar sericulture industry. 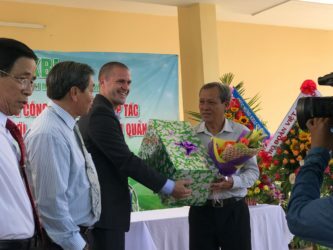 Expanding mulberry production in Quang Nam, by nearly 2,500 acres, is a powerful step to increasing total silk production and a key component of the Company’s plan to bring its spider silk technology to market. 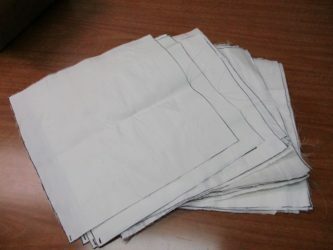 ANN ARBOR, Mich., – June 21, 2018 – Kraig Biocraft Laboratories, Inc. (OTCQB: KBLB) (“Company”), the leading developer of spider silk based fibers announces today that it has just finished the production of its first roll of pure Dragon Silk fabric, marking the first time that the Company’s proprietary recombinant spider silk fibers were used to create a 100% pure woven silk fabric. This entry was posted on June 21, 2018 by Admin. ANN ARBOR, Mich., – June 12, 2018 – Kraig Biocraft Laboratories, Inc. (OTCQB: KBLB) (“Company”), the leading developer of spider silk based fibers announces today that the Company has completed more than 2,500 microinjections using the recently announced new spider silk DNA synthesis methodology. This new method allows for faster creation of larger and more complex spider silk proteins. Larger and more complex proteins are believed to produce improved silk strength, toughness, and elasticity. These improved recombinant spider silk fibers will allow the Company to target an expanded set of end market applications. To support this expanded research and development capability, the Company added two laboratory staff for increased testing throughput. The additional lab staff members have been trained and have conducted the majority of the microinjection effort. By implementing this new validated protocol and completing these initial microinjections, the Company is looking forward to creating new transgenics, at Kraig Labs’ U.S. R&D headquarters, with an abridged development cycle and enhanced materials performance. 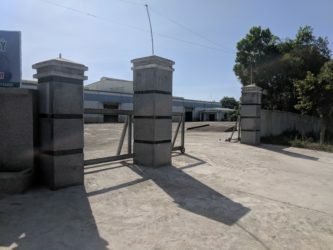 The transgenics created using the new protocols are expected to be transitioned into Prodigy Textiles’, the Company’s recently announced Vietnamese subsidiary, commercial production process. This entry was posted on June 12, 2018 by Admin. ANN ARBOR, Mich., – May 23, 2018 – Kraig Biocraft Laboratories, Inc. (OTCQB: KBLB) (“Company”), the leading developer of spider silk based fibers, announces today that its R&D team has achieved a major breakthrough in the construction of DNA encoding for spider silk proteins. With this new capability the Company believes that it should be able to reduce the customization timeframe, for new spider silk technologies, by several months. This entry was posted on May 23, 2018 by Admin.